The paperless office has become a popular concept for many businesses, but there is a consensus that a company entirely devoid of paper cannot function. The concept has been deemed a "myth," with the book "The Myth of the Paperless Office" concluding that human nature makes it impossible for the paperless office to exist, according to GreenBiz. Many believe that the environmental factor is what pushes companies to consider going paperless, but that typically isn't true. It's all about making more money and saving printing costs. "Environmental considerations aren't typically a primary driver in the decision-making process," Julia Noonan, vice president of sales for CollegeNET, a company that sells software to higher education institutions, told GreenBiz. Noonan added that when she works with universities, their main concern is saving time and money by implementing paperless processes. However, The Sydney Morning Herald reported that employees often resort to hard-copy documents, even with a electronic filing software available. This is due to the preference many people have for reading paper over digital documents. According to the Scientific American, Anne Mangen of the University of Stavanger in Norway tested students' reading ability on a screen versus physical copies. The students who read from a PDF file on a computer had a more difficult time finding information and references in the text. Those who had hard-copies were able to flip through quickly and navigate to find what they needed fast. "The ease with which you can find out the beginning, end and everything in between and the constant connection to your path, your progress in the text, might be some way of making it less taxing cognitively, so you have more free capacity for comprehension," Mangen told the source. It can be a risk implementing paperless processes in a company as "The Myth of the Paperless Office" found that workers often still resort to paper products to get work done, according to The Sydney Morning Herald. This means that the money spent on document management software can go to waste if employees are still printing and spending money on tools like pens and staplers. The source added that printed documents are perceived to be more formal, which is one reason workers are so attracted to them. Emails and PDFs are easy to dismiss and send to others, but it takes more effort to deliver a paper document. Therefore, it's more respected. Paper documents facilitate collaboration more than a computer or tablet do, especially in a meeting setting. The source reported all of these preferences come down to human behavior. Paper is a habitual characteristic of many an employee's workday, and taking it away from them in the form of electronic documents will not deter them from still printing. 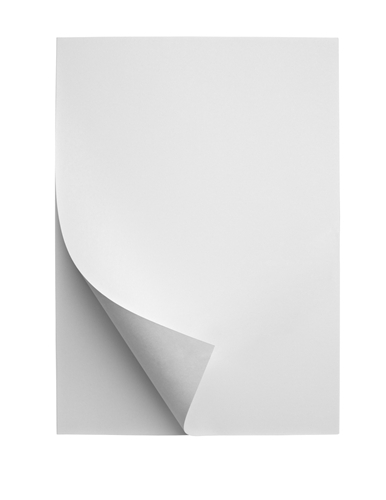 Businesses can minimize the amount of paper in their offices, but it is nearly impossible to get rid of it entirely. These factors are exactly why the print industry is not going away anytime soon. Distributors are still printing paper for employees and students still prefer the hard-copy version of books.